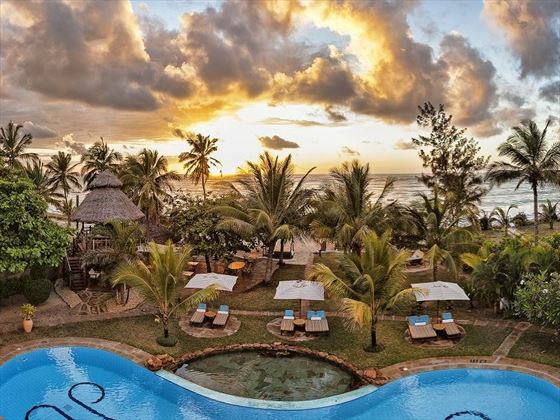 A charming yellow hotel set against the bright blues of the Indian Ocean and the pristine white of Diani Beach, AfroChic is a gorgeous property oozing old-style glamour. From the two-level beach gazebo with al fresco dining spots, to the sparkling pool that looks out onto the ocean, AfroChic will certainly entice you to enjoy the beauty of its location, and spend your days outside soaking up the sunshine, or gazing at the stars. Protected by the coral reef, the waters here are peaceful and safe to swim in, and the snorkelling and scuba diving here is phenomenal. 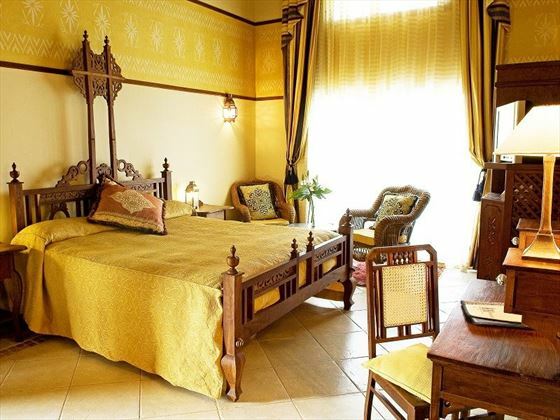 The rooms and suites are individually decorated, but all adopt an old-worldly style that is both opulent and glamorous. 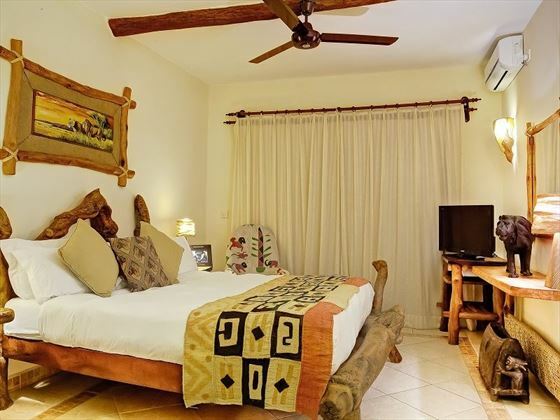 With only 10 rooms and suites altogether, the ambience here is wonderfully intimate and secluded, and all have their own private balconies. 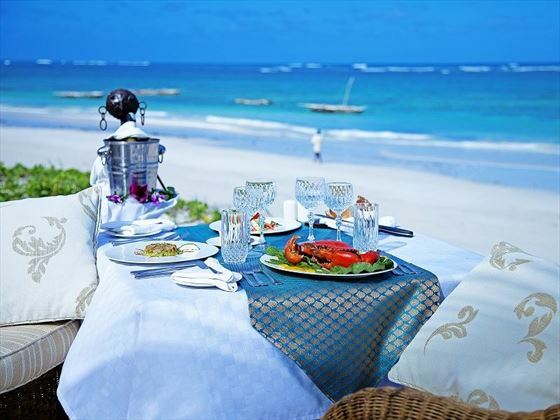 Being so close to the Indian Ocean, it’ll come as no surprise that deliciously fresh seafood and fish is on the menu at AfroChic. With an eclectic menu featuring a myriad of international flavours, there’ll be something for everyone here. We love the wide choice of places to dine too, including al fresco on the main deck, under the beach gazebo, or in the lavish dining room. 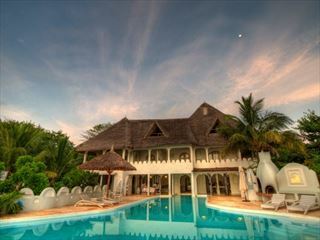 AfroChic is located on Diani Beach, a stunning beach resort that sits along Kenya’s south coast. 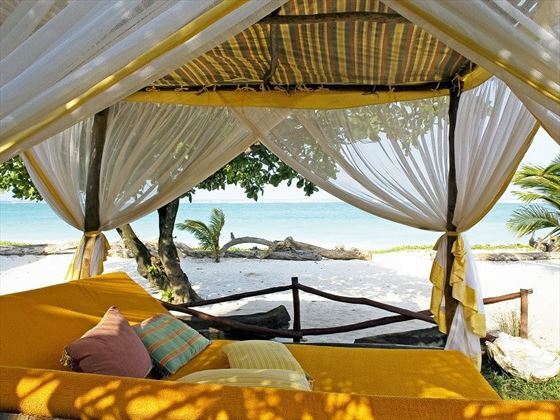 With bright white sands, swaying palms and turquoise waters, you’ll find yourself relaxing in paradise. 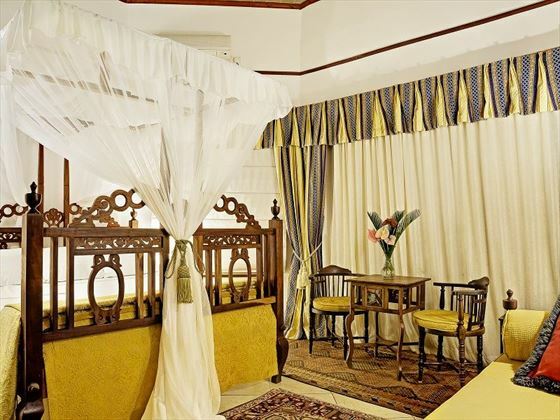 Garden View Rooms – Elegant rooms with the standard amenities, offering lovely views of the gardens from the private balcony. 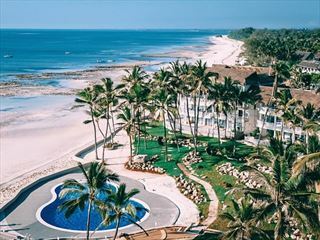 Ocean View Rooms – Sophisticated rooms with the standard amenities, and picturesque views of the sea from the private balcony. Junior Suite – A gorgeous suite featuring an ocean-front balcony. 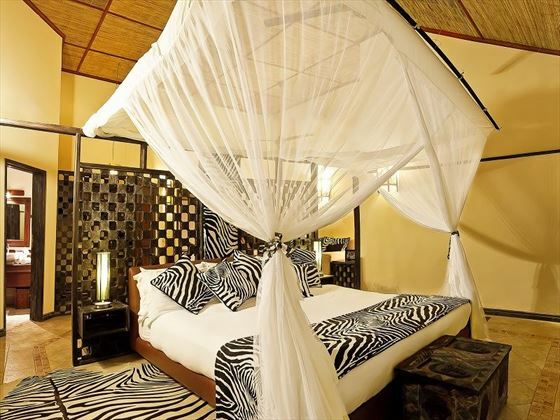 This suite is ideal for small families. 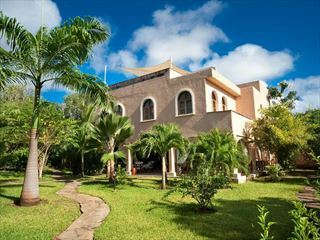 Executive Suite – A beautiful suite offering breath taking views of the ocean from the private balcony. Featuring an ensuite with a Jacuzzi bath and shower. The a la carte menu at Afro Chic serves up a myriad of delicious cuisines from around the world, including Chinese, Italian, French and Swahili dishes. With the ocean so close by, there’s plenty of fresh seafood on the menu too. 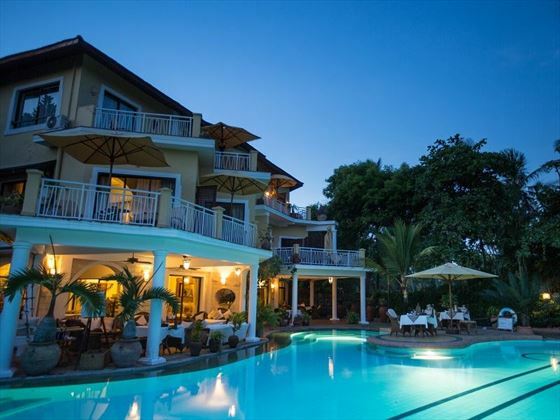 Choose to dine in a wide selection of gorgeous spots, including in the dining room, out in the gardens, or looking out to sea under the beach gazebo.